From Software is not known for creating easy, subtle romps through a digital world. Instead, they create a rich, lore-driven existence of beauty and majesty only to throw larger than life destructive forces of nature in your path for your tiny hero to overcome. The highly anticipated new I.P., Sekiro: Shadows Die Twice, was featured at E3 last year and has since been a hot bed of discussion at the brutal and beautiful stylistic skill of From Software. The game has a lot of familiar mechanics fans of the Souls series will notice, however, they have crafted a vastly improved game that is sure to draw you in for hours of gorgeous combat and skill testing battle. Check out two such instances below as we take on the Chained Ogre and Gyoubu Oniwa bosses. With the Chained Ogre defeated care of a cinematic and gory coup de grace, Sekiro moves on in his quest for vengeance only to come face to face (and horse) with Gyoubu Oniwa, a powerful and deadly adversary. How did we fare against him? Watch the gameplay footage below to find out. Sekiro: Shadows Die Twice is a third person strategic combat and exploration game by From Software. A new I.P. to the renowned developer, the game follows the titular hero Sekiro, a shinobi, on a quest for revenge against the samurai who kidnapped his lord. 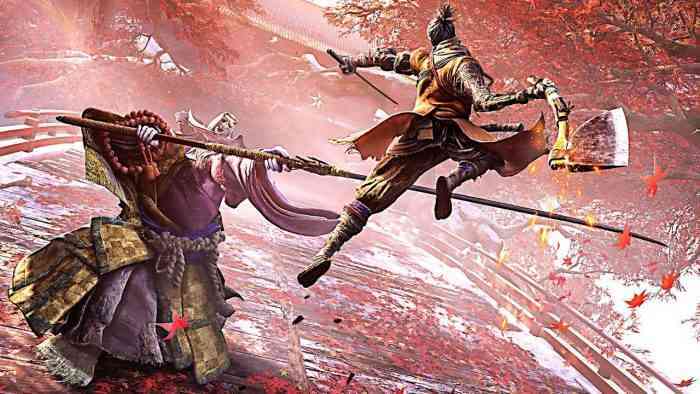 Rich with lore from the Sengoku period, Sekiro follows in the footsteps of the Souls Series with combat relying heavily on proper timing, dodging, and patience while studying your opponent. The game also has stealth mechanics as well as a grappling rope used for climbing and closing the distance between enemies. Sekiro: Shadows Die Twice is set for release on March 22, and will be available on PC, PlayStation 4, and Xbox One. For more information check out the game’s official website.